Is protecting loved ones and treasured items the most important role of the smart home in 2018? Y-cam aims to expand awareness so that home protection receives the same attention as connected heating and lighting. 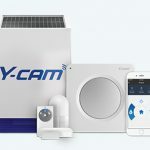 Y-cam, one of the UK’s most innovative providers of home security surveillance systems, aims to make 2018 the year of the “connected, protected home”. With broadband speeds rising all the time and 4G connectivity improving capacity and coverage on a daily basis in the UK, the concept of the much-discussed Home-based Internet Of Things is now a reality. With lights, thermostats and even pet feeders being connected via smartphones the capability to provide 24-hour protection to both loved ones and treasured items is within every householder’s reach. “The development of the next generation of agile home protection systems provides consumers with the opportunity to check doors, windows, rooms, gardens and sheds with high quality, durable and cost-effective technology. Using professional standard “Dual-Path” alarm signalling, homes and premises can now be connected, protected and monitored via smart phones and tablets through a flexible, cost-effective subscription. In 2018 Y-cam will aim to inform the UK public that home protection is no longer an expensive luxury. 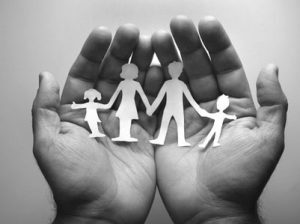 It’s an investment to keep your loved ones and treasured possessions safe and your whole family can benefit from high security solution, without the high cost.” concluded Devin. 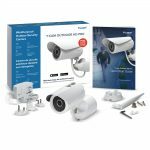 The Y-cam Protect systems provide modular yet comprehensive protection for all sizes of homes and premises. With its built-in SIM card, which automatically connects to the strongest mobile network in the area, and 8-hour battery backup, the Y-cam Protect system remains fully operational, even if your internet connection is down or you have a power cut. Users stay in control and can check the status of a property’s security wherever they are via the Y-cam app on iOS or Android. You can view recent activity, change settings, manage sensors and arm/disarm remotely whenever you need to, e.g. turn off the alarm if the cleaner is coming or turn it on if you forgot in the morning. The system can be expanded to your personal needs, add as many sensors and remotes as you like to fully protect what matters to you. All alarm sensors include batteries that last over 1 year so there is no need to drill holes or run wires around your property. Please contact our engineer Dave engineers@boltonlock.co.uk who will be happy to discuss all your access and security needs.